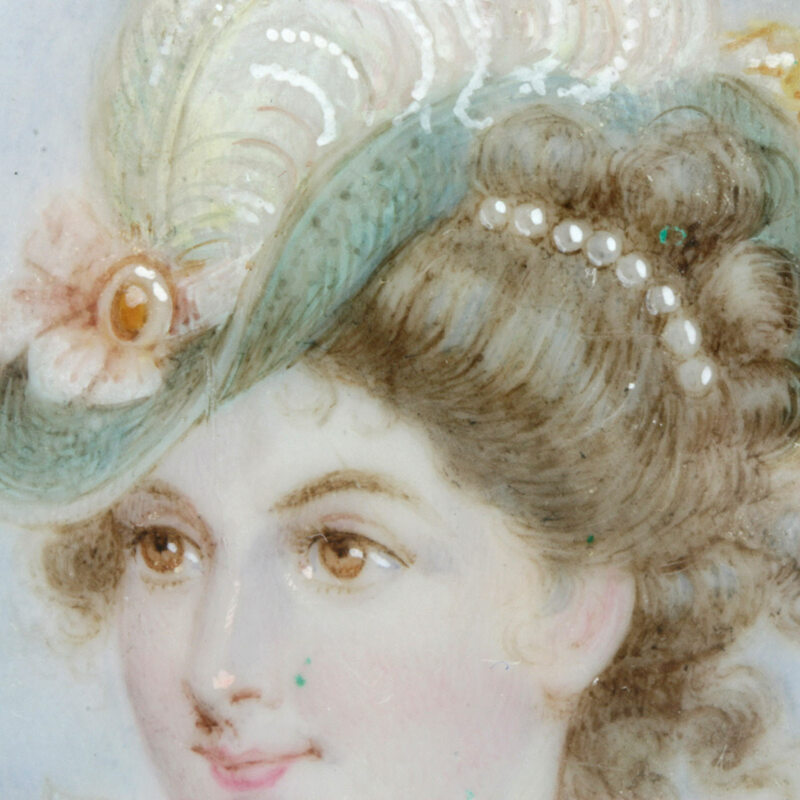 Antique hand painted miniature from the 1800’s. Product code: ES3881 Categories: Sold Items, Sold Jewellery. Antique miniatures are so full of life and character and here is an absolutely special one of such superb quality unlike any that we have ever seen before. Framed in a 9ct rose gold mount, the frame itself measures 5.8cm wide by 7.1cm or 8.3cm to the very top and one one side has an exquisite hand painted portrait on ivory of a lady. The detail is nothing short of extraordinary and her eyes alone are truly captivating. 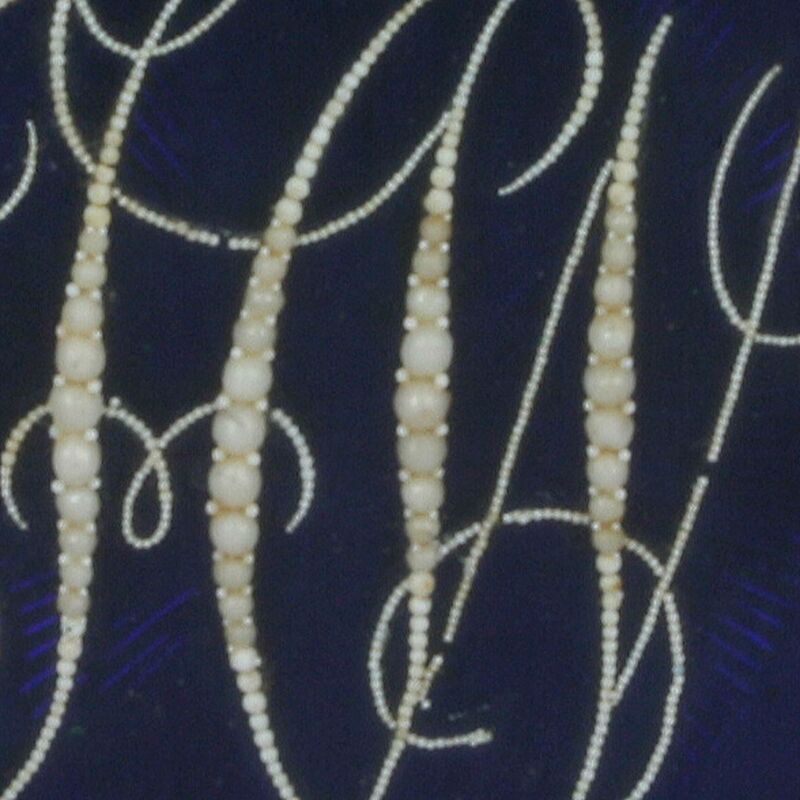 Then on the other side is a monogram made from incredibly small and well matched natural seed pearls which would have taken years to amass and sort. This is set onto that fine enamel background and surrounded with plaited hair. This would not have been a mourning piece as in Georgian and early Victorian times an entire industry sprung up over weaving hair and at one stage the price per pound of hair exceeded that of sterling silver! No matter which side you view, this antique miniature from the Georgian era is exquisite and a real piece of both history and art.